Because of our site's formatting, I recommend reading this on desktop. A mobile-friendly version is in development. This book is a guide to making enough money as a freelancer to do whatever you want. Why is it likely to work for you? Because as a salesman-turned-freelancer, I’ve used everything in this guide to make more than six figures. Money isn't everything -- that is for damn sure -- but when it comes to buying yourself the financial freedom to pursue your passion, it's not a bad byproduct of doing what you love. This guide will get you there. Becoming an entrepreneur or freelancer (the same thing, in my eyes) is tough to get your head around. You must be your own investor, founder, creator, and salesman, all at once. The trick, you will find, is knowing when to be which, and learning which roles play to your strengths. This first chapter will help you identify your potential customers and chapters 2 to 4 will focus on these roles in detail. Now, let’s learn who you should be selling to. Image: An example of the world divided into customers, prospects, and competitors. 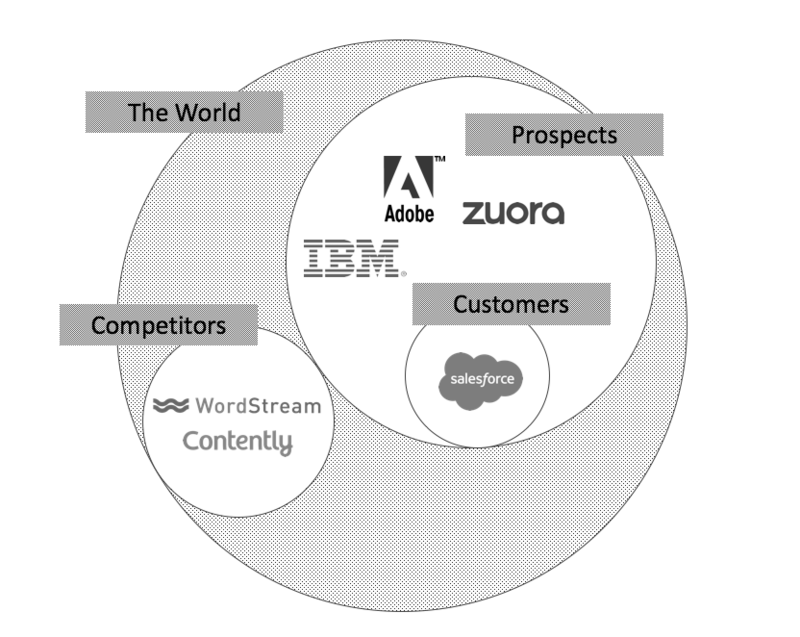 In my world, every company fits into one of three categories: customers, prospects, and competitors. The customers need to be grown and retained, the prospects need to be converted into customers, and the competitors need to be beaten. Prospects - Any B2B software company with 50 to 500 employees that has a need for marketing content. Customers - Same, but who already buys from me. Competitors: Companies that compete with me. This includes content writing agencies, content software platforms, other freelance writers, and sometimes internal employees. If you’re following closely, take a moment to try listing your own customers, prospects, and competitors. And of course, do you find them interesting? Like all generalizations, customer profiles don’t always perfectly describe the companies you’ll find. There will always be corner cases—like the company who’s both a customer and a competitor, for example—but the profiles are still useful time-saving heuristic. Pick their primary category and move on. When I prospect through a list of thousands of companies, these customer profiles give me a rule of thumb by which to mindlessly eliminate most and quickly cull the list down to just the few hundred best options. Within each company are the actual people who you will be selling to. We’re going to create profiles for them, which we’ll call buyer personas. Personas will help you know who specifically to target with your marketing and sales efforts. You may have multiple buyer personas within each company because the person who controls the budget––also known as the decision maker––isn’t always the same person who wants to buy from you. Here’s a scenario: A mid-level employee wants to hire you, but has to ask her boss. You have two personas: the buyer and the person who decides if she can buy. For much of your sales process, you’ll be helping those who want to buy, convince their boss or CEO that working with you is a good idea. Decision makers often have titles like director, vice president, CEO, or procurement manager. When selling to a new company, always try to engage the highest ranking buyer persona first, otherwise selling will be an uphill battle. More on that later. Below, you’ll see my ideal buyer persona. I’m lucky because my buyer persona usually happens to be the decision maker. They’re one and the same. Marie’s company sells an expensive software product and has lots of content plans but neither the staff nor the internal expertise to execute on them. Marie controls her own budget. I developed this persona by looking at my current customers, 64 percent are female, 80 percent are directors, and almost all purchased because they needed more content. When I run ads, when I write articles, and when I message people on LinkedIn to sell to them, I’m doing it all with Marie in mind. If I try to speak to her and her needs, it’s more likely to resonate with my buyers. Ask other folks in the same line of business to explain what their buyer personas look like. Find prospects, friends, or colleagues who are potential buyers and are willing to be interviewed. Find interviewees who are potential buyers via sites like Craigslist, Quora, SurveyMonkey, or UserTesting (Authors note: no affiliation). Use what you gather through these activities to create a prototype buyer persona, and then continue to refine as you go. Collect as much primary source material (writings, recordings, direct quotes) from your customers as possible for reference later. This is known as voice of customer (VOC) content and it’s critical for sounding authentic. For example, as a salesperson, I might describe my customer’s problem as “a lack of high-quality content” but they might call it “needing a better freelance writer.” If I said it my way, they might not even know what I was talking about. Always try to speak in terms of VOC. For more detail on buyer personas, check out Hubspot’s guide on the subject. Got that. What comes next? Each role owns a different piece of the sales process. Learn them, and learn when to be which. Switching back and forth may be stressful at first, but you’ll get used to it and you’ll build momentum. Whatever you do, don’t let up. A former sales leader of mine likened this whole sales process to boiling water: Once you spend enough effort to get it boiling, keep stoking the fire with periodic activity in each of these areas and don’t let up. Sustained effort will yield the right results. Create customer profiles (the companies). Create buyer personas (the people). Speak like your customers (VOC). Create a document or notebook where you can take notes as you go through this book. If you have customers, analyze what you like or don’t like about them. Do light research on 2 to 3 dream customers and list what makes them appealing. Write out rough drafts for your customer profiles and buyer persona(s). Come back and add to them later on as you learn more. What you’ll gain from this chapter: How to turn your writing into a product people want to buy. I’ve chosen to begin this book with the product (or service, if you prefer) chapter because, without a quality product, sales and marketing simply won’t work. People fundamentally have to want what you’re selling. If they don’t, it always catches up to you. Just look at Theranos, the much-anticipated health tech startup, which tried to fake it till it made it. On the surface, Theranos had stellar marketing and landed fantastic partnerships (Henry Kissinger was on their board, no less) but underneath, it was all smoke and mirrors. They failed to build anything real. When word finally got out that there wasn’t any product, it imploded in a cluster bomb of lawsuits. Don’t be Theranos. Be Google, whose quality products speak for themselves (and whose genius marketing certainly hasn’t hurt). This way, you’ll get a far better return on your sales efforts. You will spend hundreds of hours over the course of your business looking for new clients, and you can save yourself hundreds more if they truly love your product and want to tell their friends about it. Both customers required the same up-front sales effort, but one paid you 12 times more. Keep your customers happy and they’ll pay dividends. Nothing convinces customers to stay, quite like a high-quality product. Happy customers permit you the luxury of focusing on improving yourself and your product even further, rather than scrambling to constantly find more customers. As your product improves, you get paid more for the same effort. I started by selling articles for $25 and after one year and lots of effort, I now charge more than twenty times that. Invest in the quality of your work. How can you create a quality product or service? There’s a whole school of thought around this question called design thinking. To follow this method, get a basic product out there and study people’s reactions. Overcome your innate fear of feedback by constantly subjecting yourself to it, and understand that regardless of what you meant to create for customers, the message sent is only as good as the message received. Your product is only worthwhile if the customer thinks it is. Less writing is more. I used to write big, dense, intellectually demanding papers because I thought that I was making strong arguments. It ends up, I was only showing off … to myself. Nobody reads them and it’s far more effective to be brief and entertaining. Short headers are better. At the insistence of my customers, my article introductions have dropped from around 15 sentences to 5, and are much clearer as a result. Customers value your services more if you charge more. Seriously, it’s a thing. As humans, our sense of value is entirely relative and by raising prices, you’ll actually increase satisfaction. No matter how effectively I think I’ve edited something, there are at least 2 to 3 mistakes. Customers always find them and I now use a human editor. Design services add tremendous value. After many requests, I now work with a graphic designer and can charge a premium for fully finished projects. Always say, “Thank you for the feedback!” out loud, as a mantra, and smile, even if it was over email. Ask for feedback consistently. Demand feedback as part of your relationship with clients. Create a feedback prize jar. Set a feedback goal for something nice that you’ll buy yourself (like new wireless headphones) and then tally up the feedback until you reach it. Ask for feedback on everything in life, especially things you don’t care about. Repeated exposure is the surest antidote. Use this feedback to improve your product incrementally. I have found that I can do this with my work by simply writing as much as possible. It gives me more chances to incorporate that feedback and iterate. It was only after six months on the job that I finally realized I had been writing awful headlines, and took a class on it. It wasn’t until one year in, that I learned what an ‘em dash’ was—I had been using hyphens. Through this process, I’ve improved my service to the point where I’m proudly commanding a high premium. Make personal product improvements part of your daily process and never stop. Deliver a high-quality product because you get a better ROI on your sales and marketing efforts. Always be improving your product or service. Write a rough description of your product or service and what you’d like it to look like when it’s complete. List the steps that will get you to your complete product or service. Write some goals such as: take classes, read books, find a mentor, or join a professional organization. Improve my writing quality with classes. Set up a payment system to accept payments. Get feedback on your new product description and your goals to get there. Create a feedback prize jar. What you’ll gain from this chapter: How to put your best foot forward and make sales easier. Now that you have a good product, it’s time to get the word out there. Marketing is about creating an environment or a “market” for your product where someone already wants to buy it by the time you talk to them. It greases the sales wheels, if you will. This includes your website, your online profiles, and how your product is presented. Before you start marketing yourself, however, you’ll need a brand. AKA, if marketing is showing off your new tattoo, branding is the act of actually sitting down to get inked. Branding is a lot more than a logo. It’s determining the look, shape, colors, words, sounds, and even smells associated with your freelancing enterprise. Use them to guide your marketing and they’ll create consistency, which builds trust with your customers. 1. Break out a box of sticky notes and a pen and sit near your computer. 2. Without thinking about your brand, write down as many adjectives (insightful, gritty, effective, patient) and short phrases (highest quality, always find a way) as you can. Shoot for 50 to 100. It helps to consult an online dictionary for synonyms. 3. Take those sticky notes and organize them into a “yes” and “no” pile according to whether you think they describe your brand. 4. Categorize the “yes” pile into themes. 5. From those themes, come up with a list of 4 to 6 phrases that you think accurately describe your brand. Now that you have that down, let’s begin your marketing with a website. Working through your web presence will force you to come up with other great ideas as you go. Your website is your digital business card and there is zero excuse for not having one. Cost is no longer a barrier, although not everyone knows it. I run into clients who have spent tens of thousands of dollars on hiring web design agencies to create their digital presence and they still sometimes appear clunky and dated. Those same clients frequently compliment me on my website and I’m always reluctant to tell them that it costs me $8 per month on Squarespace. I made it from a template which anyone and their mother can use. Squarespace understands design and while its templates are restrictive, that’s actually a good thing. It means that you can’t break your website and if you walk away and leave it alone for months, it won’t fall apart like Wordpress does. I used Wordpress to create the first version of my site but I had to install so many third-party plugins to accomplish what Squarespace does instantly, that it required custom code. Whenever Wordpress updated, that custom code broke and I had to fix it. I recommend the following website template services based on your need for customization. I’d say 95% of freelancers are going to be more than happy with Squarespace. Just set it and forget it (sort of). 1. Go look at other websites. You can skip the thousands of hours of design school (sorry real designers) and jump straight to copying finished products. For example, you’ll see that most website home pages start with one big, single banner image, a few lines of text, and a call-to-action (CTA) button. That’s because it works. Copy it. 2. Select a template and play around. Explore your template’s limitations. Should it showcase your work? What do you expect visitors to do? What might your visitors actually expect from it? For mine, the goal is primarily lead capture with a secondary goal of developing an audience for my blog. The leads are typically prospects who are there to see my work and the blog’s readers are typically other writers there to learn about freelance writing. To keep either audience from getting bogged down, I have as few pages and as little text as possible. Simplicity is key. A way for capturing leads (aka, have forms). A product portfolio page where viewers can click to learn more. A homepage with a call-to-action (CTA) button. A customer page that displays customer logos. 5. Write the copy for each of these pages. Make it all fit into your template. You’ll have to do some shifting and compromising, but take your time and have fun with it. Switch templates if needed. 6. Boom! A professional website. Be as simple, concise, and as straightforward as possible. If your company name is available, great. Snag it. If it’s not, be very careful about playing around with alternative domains like .biz and .co. People will always default to thinking of websites as .com and a great many of your potential leads may find their way to your competitors. I only felt comfortable using .media because that’s an actual part of my company’s name. At this point, your website is now a digital business card, but people aren’t going to find you unless you specifically point them to it. According to The Atlantic, there were 1 billion websites in existence as of 2014. There’s no telling how many there are now, but it’s fair to say that competition is fierce. If you want to increase your website’s SEO and be found by people searching for you on Google, I recommend looking through guides from the experts like Moz, Kissmetrics, or Google. Have relevant keywords. If you’re a writer, use the term “freelance writer” a lot (but not too much). Use titles and headers. Basically, use larger fonts at the top of your pages to say important things. Get reputable sites with good search rankings to link back to you. Do not, whatever you do, buy links from some scummy agency. You could get blacklisted. Instead, write guest articles for other organizations and link them back to your site. For more, read 4 Publisher Sites to Consider. Image: My profile on Marketo's blog. Try to do likewise for your category. The bigger the publications, the better it is for your SEO, and you can point back to them during your sales process to show prospects that you’re an expert. The purpose of your social profiles isn’t so much to gather followers as it is to make you appear like a legitimate entity that your customers can trust with their money. This evidence that others trust you is called social proof, no matter where it appears. If your profiles happen to be empty, have no activity, or have greyed-out profile pictures, you’ll raise red flags and come off as shady. Image: Do you trust this guy? I sure wouldn’t. When clients visit any of these, they’re reassured that I’m a real freelancer. It also helps that I have consistent messaging across all three platforms and that I have Facebook and LinkedIn business pages that are separate from my personal profiles. This will all contribute to your credible online presence. We help great brands sell more with killer marketing content. We’ll interview your executives and turn out premium content that sounds like they wrote it. Once you have paying clients, you’ll be able to add customer marketing into the mix as well. This includes case studies, testimonials, and any sort of proof that you have paying clients who are happy. See my clients page for examples. Before anyone buys from you, you’ll need a contract for them to sign. They’ll ask you for a W-9 and occasionally, a mutual non-disclosure agreement (NDA). Get these documents ready and keep them handy. More often than not, you’ll sign their NDA, but it’s good to have your own. To learn more about these resources, check out NOLO, LegalZoom, or RocketLaywer (Author’s note: no affiliation to all). I’ve tried LinkedIn, but have never seen a result. (Author’s note: no affiliation to all). When writing ads, you want to focus on the benefits to your readers, not the features of what you offer. As the adage goes, people don’t intend to buy drill bits, they intend to buy a hole in something they’re working on. People don’t care if you’re a writer, they care that you’ll make them more money, make them look good, or make them more efficient. This often works well if you phrase it as a question, and if you’re specific. Good: Want a blog that drives real revenue? And don’t forget about word of mouth (WOM). While much more difficult to orchestrate, it’s the perhaps the strongest form of advertising that you have. To learn more about WOM, read this article: Are you word of mouth worthy? With your branding, marketing, and advertising in place, you’re finally ready to begin your sales process. Marketing is about greasing the wheels for sales. Have a slick, modern website. There’s no excuse not to. Look credible by completely filling out your online profiles. Nail down your messaging and collect customer case studies and testimonials. Go create your website using the above guide. Complete your social media profiles and plan out some articles that you can write from your expertise. Nail down your messaging and read it out loud. Get feedback. What you’ll gain from this chapter: Concrete steps to find, approach, and win new customers. It’s time to return to your ideal buyer persona from chapter 1. It need not be fully developed—it never is—just take what you’ve crafted so far and get started. Based on the responses you get from actual prospects, the deals you land, and the money you make, you’ll learn even more and improve your personas even further. In this chapter, we’ll teach you to create a sales pitch, create a list of prospects, reach out to them, and keep it up until you start generating interest and moving prospects through your funnel toward closed customer. Let’s get something straight. Whatever you think sales is, you’re likely wrong. I know this because I hear it day in and day out. People offer objections to why they can’t sell like "I don’t like confrontation!" "I hate bothering people!” and “I don’t want to be that guy/gal!” Please. Much of these are misconceptions drawn from popular culture. The most common trope is the persona of the used car salesman: swarthy, scummy, and always trying to pressure you into a deal. This is far from the reality. Few people in this world buy things simply because they’re tricked into it. They buy because they benefit. I pay for coffee at a cafe because I love the taste. My colleague bought a car because she needs the mobility that it affords her. CEOs purchase writing services like yours because they think that you’ll help them make more money. Buyers only buy if they think they’ll benefit, and by selling to them, you’re actually doing them a service—You’re connecting them to what they need and offering value. The sales process is not only ethical, it’s downright helpful. From this perspective, salespeople much more resemble matchmakers. Their job is to make the process of finding products simple, to educate everyone on why it’s a good deal, and to make everyone happy. You explain what you want for dinner. You’re getting hired or hiring someone. You ask someone out on a date. You explain why you deserve a refund. You convince your friends that they need to watch Game of Thrones. You explain to your boss that you’ve done good work. Almost everything in life involves some degree of selling. Salespeople, real salespeople, are facilitators who do the heavy lifting of research and carry great things right to the customer’s doorstep. If they are genuine in their intentions (and many are), they offer a lot more value than they take. To excel at sales, you need only understand that by selling, you’re not taking: You’re giving. If you sell writing, you’re helping your customers craft words that they cannot. If you sell branding, you’re providing vision that they’re not capable of. And if you’re selling software development services, you’re giving them access to a language that they cannot speak. You are empowering them, and the sales process that I’m describing is one of helping everyone involved overcome their personal hang-ups to build a bridge, find mutual value, and solve problems together. By selling, you’re not taking. You’re giving. That said, it’s hard to know who needs your services, which makes it partly a numbers game. To increase your chances of politely knocking on the right doors, you need a process. That’s what this chapter will provide. The sales funnel is key to your freelancer sales process. It’s called a funnel because, well, it’s shaped like a funnel. Salespeople use it as a planning tool to understand whether they’re on-track to hit their sales goals. Each different section of the funnel (pictured below) represents a different stage in your prospect’s journey towards buying from you. At the beginning, potential buyers or ‘leads’ don’t even know who you are but by the end, they make a purchase. You’ll notice that each progressive funnel stage gets smaller and that’s because, at each stage, some leads advance while others are qualified out. Disqualifying leads is good for both you and your leads. It’s a waste of everyone’s time if your talks aren’t progressing toward a sale. To keep your funnel topped off, you’ll have to constantly refill it. As the best leads advance through your funnel toward the bottom, you’ll get closer to landing new customers. Nikita Ovtchinikov, Sr. Account Executive at Salesforce. 1. The lead doesn’t have follow-up questions. 2. The lead doesn’t seem to think through how your services/product might impact them. 3. The lead doesn’t ask about price. 4. The lead doesn’t seem to have a clear problem. 5. The lead is hesitant to speak to their boss about you. All of these denote a lack of interest. If you see multiple red flags, get those guys out of your funnel." After you’ve used your funnel for one month, you can calculate exactly how many leads you need to add to it next month and how much activity you have to perform to hit your revenue goals. Let’s see how it works. Outreach: Prospects who you’ve reached out to or intend to reach out to, but haven’t heard back from. Aware: Prospects who have responded, viewed your site or profile, clicked an ad, or are in some way aware of you. Engaged: Prospects who have actually responded and you’ve had an exchange with. Decision: Prospects who have indicated that they’re interested in your services and are actively considering buying. Customer: Prospects who purchase are thereafter known as customers. Recycled: It doesn't appear on the funnel, but this is where you deposit all your disqualified leads. What happened to the other 80 leads that were in Outreach? They got qualified out. They stopped responding, said they weren’t interested, or you told them that you didn’t think it was a good fit. All that’s left are the good ones. Write that conversion rate down. Going forward, you can assume that only 1 in 5 leads that enter your Outreach stage will move on to the next one. Every month, calculate your new conversion rates and average them with your old ones. Over time, they’ll become incredibly accurate. Without a process, you’ll fall into the cycle of feast or famine. That’s when you put in some effort, see success, and then get so busy dealing with new customers that you stop selling. Before you know it, those customers’ projects end and you’re left with a big zero for income. Suddenly, you have to start your sales process over from the beginning. By having a process, you avoid this and keep your income consistent. If I continue that math on up, I’ll realize that I have to reach out to 150 people next month if I want to land 3 new customers. And what if I want to reach a revenue goal? I simply have to find out my average sale value, see how many new sales (that is, leads in the Customer stage) it takes to get there, and then repeat the same process. Knowing how many people I’ll have to reach out to each month allows me to budget my time and limit my sales efforts to just a few days of hard work. Where do you keep track of your funnel? There are few different options, but my first recommendation is an Excel spreadsheet or a project management software like Trello or Asana (Author’s note: no affiliation). You’ll want to keep the work as minimal as possible, especially when you’re dealing with low volumes of leads like you will be as a freelancer. With your funnel set up and ready to go, let’s start selling. Sales is a constant process of approaching prospects, learning about them, reaching out, and then adjusting what you do for next time. It’s as much art as science, so go through these points, complete the exercises, and then return and repeat them as necessary. 1. Develop your sales pitch. It’s called a sales pitch, but your goal is to be personable and not at all salesy. Take the stance that you’re a consultant there to help them, not to ask for their money. When you come across the right customers and they’re buried in paperwork, struggling to meet a deadline, or hoping to impress their boss and you can save them, you aren’t a bother, you’re a hero. Design your sales pitch to talk about their challenges and how you can solve them. For an example of a pitch, see the email templates later in this chapter. 2. Identify your prospects’ chief complaints. What causes people to buy? It’s your job to become obsessed with this question, and not just why you think they buy, but why they actually buy. Ask every customer, read what they write about in blogs and in forums, and come up with a list of their chief complaints. Always position your product as solving their pain. For example, my customers often say: “We need more/better marketing content, and don’t have the resources to make it.” When I talk to them, that’s what I bring up. 3. First, ask for referrals. Before you go knocking on the doors of cold leads, look for doors that are already open. Broadcast to your network that you’re looking for clients and reach out to people with whom you already have relationships. Ask friends if they know people they can introduce you to. This is the lowest hanging fruit. Only after trying this, should you conduct cold outreach. It is my highest recommendation that you segment your activities so that you build lists of prospects one day, fill them with contacts who work at those companies on another, and then reach out to them on a third. If you try it all at once, your head will spin, and you’ll do them all poorly. 5. Come up with a prospect list of look-alike companies. Create the list of companies that you want to reach out to based on the customer profiles you created earlier. You can find these companies through Google searches, through social networking sites like Instagram, from your current clients’ resumes, from conference logo pages, and from other companies’ customer testimonial pages. Below are examples of each. Search for companies that fit your customer profile. Don’t worry if it seems slow, you’ll get better quickly and things will speed up. How many leads should you try to find? Twenty to forty is a good start, but more is always better. LinkedIn job searches: Are your prospects trying to hire someone to do what you offer? Image: A simple Google Search, a conference lists all its sponsors and partners, a software company lists its current clients. 6. Work with one list of 20-40 companies at a time. I try to tackle a list of twenty or so companies each month and then switch to another list. Why? Because it’s a small enough number that I can mostly remember what each of those companies does and it affords me enough time to reach out multiple times to each person each month. At the end of the month, I remove companies who have said no or who I’ve qualified out and I add new companies. Once the list feels over-worked, I start fresh with a new list. When you reach out, have a reason for doing so. It could be that you saw them mentioned in an article, noticed that they posted a job, or suspect they have a glaring need for your services. Try to show that you’ve done your homework and that you’re not sending a copy-pasted note. Always look for warm introductions. Prospecting is best done to warm leads. That is, ones that you’ve been introduced to. You should always prioritize talking to people with whom you can get an introduction. Once you are introduced, tell them the reason that you’re connected or the reason you’re reaching out. If you withhold your true interest, it will sound suspicious and you’ll make people nervous. My two top tools for outreach are LinkedIn and email, but that might be unique to my industry. I sell to marketing folks at software companies and they’re always on LinkedIn. I choose to pay for the premium Sales Navigator version because it lets me save leads and keep notes (Author’s note: no affiliation). You may prefer different channels, such as social media or phone calls. For your outreach, craft templates for what you’ll say based on the customer’s chief complaints, their needs, and their pains. What problem do you solve? Get right to the point. Make note of your outreach in your Excel spreadsheet leads or CRM (mentioned above), and try not to reach out to any one lead more than twice per week or three times per month. Use statistics and testimonials. These factoids grab people’s attention and confer credibility. Front-load the value. Put the best stuff right up front. Most people only scan your messages and you may have 1 or 2 seconds, at most, to capture their interest. Write personably, like you would to a friend. For more on this, read How to get someone to read your entire blogpost. Do, however, be weird. Average Joe always gets forgotten while jazz-loving, caffeine-crazed Jake does not. Be Jake. Be memorable. Avoid overt humor, don’t be annoying. Self-explanatory. 8. Get used to rejection. You are up against a world where salespeople are seen as annoyances, and you’ll be confused with the worst of them. Don’t despair when doors close in your face. If you did all you could to convey your value and it wasn’t a fit, you’re now free to focus on better prospects. In fact, getting a “no” is far better than getting a “maybe” or just no response whatsoever. With a “no,” you at least know to move on. With a “maybe,” you’re left continually committing effort to something that’s worth the same as a “no.” Read about rejection therapy if you want to know more. Polite persistence beats resistance. Reach out across several mediums and if they’re a good lead, reach out no less than 7 times. According to some old stats, 80 percent of deals take 5 or more follow-up messages or calls. Try to avoid talking pricing until your lead is actually interested in buying. If you discuss it too early, you can scare them away before they even give you consideration. If they ask for pricing, tell them it depends on what they need and if you can better understand their needs, you can help them figure it out. If they’re insistent, however, don’t be awkward. Tell them. Keep raising your rates. At first, you’ll start with low prices. Once you have paying customers, raise your price for any new ones. Keep raising it until you hit a ceiling where nobody is willing to pay. If you don’t find that ceiling, you’re undercharging and not getting paid what you likely deserve. There are, of course, exceptions to this. Sometimes you might accept lower pay because it’ll be a great portfolio piece. Occasional exceptions are fine, but don’t let them become the rule. "I've raised my rates on current clients, but I don’t phrase it that way. Instead, for clients that I work with on a project-by-project basis, I ask, “Does this fit within your budget?” and have seen a lot of success." Get everything on the table. Before you start negotiating, define everything including total cost, project timeline, and what each party wants. Some sales methods call this an upfront contract. If you fail to clarify things before you negotiate, there will be misunderstandings that cause things to restart or perhaps, even fall apart. For example, if you agree to a price only to find out that a customer thought they were getting premium and you thought they were getting a standard service, it’s very difficult to reset things. To really drive your upfront contract home, get your prospect’s commitment that if you both go through this negotiation together and they get what they want, that they are prepared to sign an agreement. It seems redundant, but it activates the consistency principle whereby people are compelled to stay consistent with what they’ve said out loud. This keeps them honest. Always get their number first. Ask how much your prospect is willing to pay first, if you can. This gives you a sense of their expectations. Start high and work low. If you want to be paid $1,000 per month, ask for $1,250. When they ask for a lower price and you hesitantly offer them a 25 percent discount conditional on them signing now, you’ll activate the rule of reciprocation whereby they’ll feel obligated to return the favor. They’ll leave feeling like they got a deal and you’ll have the price you wanted anyway. If they agree to the $1,250 without argument however, then all the better. Negotiate the add-ons and details. Negotiation is not always about price. If someone asks for a discount, first ask why. They might be satisfied with an add-on (say, an additional hour of work or higher quality service) instead. Cement an agreement. Once you’ve reached an agreement, ask them to repeat your mutual understanding so that you’re on the same page. Immediately get it in writing. Memories fade and feelings change and it’s important to have a record. Sign an agreement. Smart salespeople have their sales agreement prepared ahead of time with blank spaces for the price, date, and any details that might change during negotiation. Get a signature as soon as possible afterward. It’s rare that someone can sign right on the spot, and very often, they’ll want to share it with their boss. That’s fine, but understand that time kills deals. The longer it sits unsigned, the more the momentum fades and the less likely it is to happen. In software sales, it is generally understood that after a few days, the chance of an agreement being signed is cut in half. Create urgency. There’s a reason that retail sales have expiration dates and that e-commerce sites like Amazon list “Only 2 items left!” on goods: We humans are compelled by deadlines. You can create polite deadlines by saying that you’re extremely busy, you have lots of other people interested, and you’ll likely have to work with whoever signs first. Customers will often infer the rest and feel motivated to get things done. You’ll likely have multiple deals moving forward at once. Recall our boiling water analogy? Always keep your sales efforts at a high simmer. For me, that could mean working 3 to 5 simultaneous deals. Keep on top of them and constantly keep next steps with your prospects on the calendar. If you’re like me, however, and you don’t like to bother people, take a more laid-back approach and generate more deals than you need so that you don’t stress about any individual one. If someone doesn’t get back to me, I check in a few times and then let it go; This is an anathema to a real salesperson, but I’m not trying to close every single deal. I want to work with people who want to work with me and if I’ve shown them what I do and if they’re not excited enough to keep in contact, I probably didn’t want to work with them anyway. More deals means less stress and less bothering. A. Be careful copy and pasting messages. That’s a real screenshot from a prospect who was recently let go from their role and is quite bitter about it. There was nothing for me to do but to honestly apologize and move on. B. Reply to previous emails. People are more likely to open an email that starts with “Re:” because it looks like you have an ongoing conversation together. Each individual lead must go through his or her own buyer’s journey which, in my experience, ends up being pretty universal across industries. Most prospects want to understand what you offer, why it helps them, and whether they trust that buying from you will solve their problem, in that order. Help them along each stage, and each time you interact, secure concrete next steps. If you don’t have the next call scheduled before your current call ends, you’ll waste a lot of time going back and forth afterward via email. Outreach - Message people and get them interested with cold emails, messages, and calls. Aware - Schedule a fifteen-to-thirty-minute introductory call to introduce yourself, get to know them and find out if they have a problem you can solve. Deals are won or lost here and like it or not, it’s as much about whether you like each other as the quality of your work. Take close notes for reference later. Engaged - If you sell a product they need to see in action, schedule a thirty to sixty-minute demonstration call via video chat or in-person. If your website portfolio will do, send that and make it easy on them by sending links to your most relevant work. The goal is to get them to see exactly how you’ll solve their problem and to believe that you can do it. Sometimes, you’ll need to do two or more demonstration calls. Negotiation - This is typically a quick phone call. Try to anticipate what they might ask for (lower price, more services, etc.) and have pre-prepared responses (bullet-points only; don’t let it sound canned). Prepare as much as possible and avoid getting caught off-guard. Customer - Build relationships and constantly under-promise and over-deliver. If you demonstrate value, they’ll find more work for you to do. Recycled - Once they’ve sat for a long period, say, six months to a year, dump them back into your Outreach stage and try again. Should you offer free samples? Many freelancers do this in hope of landing a contract. I’ve tried this and I’ve found that none of the companies I’ve given free samples to, stuck around for the long-term. Part of this is because the companies that are so cost-conscious that they can’t even pay for that first trial are also too stingy to be profitable clients. Another part is that if your first work is free, customers don’t value your work as much. I’ve found it much better to set a positive precedent and only work for what I’m worth. If a free sample is what keeps them from signing, they didn’t really need my services that badly. While you may not have the luxury of this strategy when you first start out, you should aspire to this approach. Lead with value. State your purpose right away and don’t be rude about keeping them on the line. If they’re determined to go, let them. Don’t end questions with negative suggestions. For example, if saying, “Would that be valuable?” don’t end it with, “Or not?” It’s a common, unconscious habit that un-sells your prospect. Give them time to think. Once you state your proposition, allow the prospect at least a moment to consider. Get clear next steps. The worst way to end a call is for a prospect to say, “Maybe, I’ll think on it.” That’s almost assuredly a “no,” but they’re too polite to tell you. Tell them that while you’d love a “yes,” a “no” is a perfectly acceptable answer and that you don’t want to continue to bother them if there’s no chance. Often, letting them off the hook elicits a more honest answer. If the answer is “yes,” however, set clear next steps such as a subsequent call. Lauren has a slightly different way of going about selling: first, she reaches out to make friends. "This only works when it's truly authentic," says Lauren. "When I'm genuinely enthusiastic about a company that I want to work with, I'll reach out to tell them that I am a fan of theirs, explain why their work is meaningful to me, and offer to share some advice, free of charge." More often than not, she finds that being an actual fan of their work and offering support helps her to stand out and get her foot in the door. The conversations are always interesting and often, they morph into paying, (and, most importantly, meaningful) client relationships. And there it is! This is more or less everything that you need to know to develop lists, generate leads, move deals forward, and close more new business. Get over your fear of people. Expose yourself to whatever aspect of sales makes you most nervous. There really isn’t any such thing as “not a people person.” I didn’t think I was, but with training and effort, like anything else, you can gain the skills that’ll make you likable, approachable, and trustworthy enough to respond to and buy from. Take an improv class. There’s perhaps no better way on earth to loosen up than to take improv. If you want to know more, read How to cure your writer’s block with improv and 3 cold calling tactics you can only learn from Improv. Practice negotiation. Negotiation is a learned skill. Some people start out further ahead than others, but everybody starts. Read You Can Negotiate Anything by Herb Cohen and start haggling for stuff at your local flea market. Track what you’re doing. List out how much activity you’re performing, record whether you’re improving, and list out all the reasons that you think you’re losing deals. If there are common reasons, you know what to improve on and what to ask for help with. If all of this sounds like a tremendous amount of work, it is, but it doesn’t last forever. If you have studied the Product and Marketing chapters closely and have a high-quality product with a great presentation, the customers you land will have recurring projects for you. There’s no telling how long it will take for you. For me, it was six months before I was making a consistent salary and after one year, I pretty much didn’t have to sell anymore. My book of business—that is, my clients who frequently buy from me—is well-established enough that I’ve set them up on retainers and we both know how much I’ll write and be paid each month. How do I make sure that I keep those clients and that they keep growing in value? I practice customer management, which is the topic of the next chapter. Real sales isn’t what you think: It’s about finding an answer that solves the client’s problem. Sales is partly a numbers game. You must politely knock on a lot of doors. Creating a sales funnel adds some order to your process and allows you to predict how much work you’ll have to do. To sell, study your customer’s chief complaints, create a list, reach out, and move them forward in your sales process to negotiation and close. WIIFM: “What’s in it for me.” It’s what your customers want to know. When negotiating, clarify everything up front. With pricing, always start high and work low. To eliminate stress, work more leads than you need. Take an improv class to improve at sales. Come up with a pitch, create a list of customers, reach out to them, and keep it up until you start generating interest and moving prospects through your funnel to close. What you’ll gain from this chapter: Learn how to manage customer relationships and encourage them to spend more with you. The first project with each new client is critical. First impressions are everything and set you up for a lot of future success if you hit a home run on the first go. For me, that’s always meant devoting any resources necessary to doing a great job (within reason). While I may lose money on the first project, I’m betting that future ones will be more profitable as I learn what they like and don’t like. The fastest way to sabotage your good reputation is to be inconsistent. If you promise the world in order to land a sale and then are unable to deliver, that customer won’t remain a customer for long. That’s when you’ll only be getting a 400 percent return on your leads rather than a 4,800 percent return, as we discussed in chapter 2. Stay safe and always overestimate the amount of time and resources that it will take you to accomplish things. That goes for pricing as well. Overestimate your costs slightly so that even if things run over, you’ll never be in the position of asking a client for more after the fact. All strategy aside, get to know your customers as people. They have personal lives, interests, fears, biases, and guilty pleasures. There’s no harm in becoming friends with them. Love and appreciate them and try to deliver value outside of your traditional services. I share expertise and articles with clients and I connect them with each other to help them find whatever it is they’re looking for. It’s my experience that the more you give, the more you get back. Over time, your clients will be looking out for you too and they’ll take every opportunity to sing your praises to their boss and to their colleagues, and that’s never bad for business. Some of the best warm leads you can get are referrals from happy clients. Always build up the relationship first and then spring the question when relations are at a high point. If you can, be a little pushy and ask flat-out if they can think of three colleagues that might be able to use your services. If they’re open to it, brainstorm with them. Get those names and ask for a warm introduction. If they can’t or won’t give you referrals, this is the time to ask for customer marketing materials like the right to put their logo on your website, a testimonial, and if you feel comfortable, a case study where you highlight the impact that you’ve had on their business. Yes, it’s sad but true. Some clients will end up being a drag on productivity, won’t pay enough, or won’t be interesting enough to keep the creative juices flowing. You’re under no obligation to do them any favors (unless you are, in which case play it by ear). If you find that you’re losing money on them or there’s a stark disparity in how much you’re making off them as opposed to others, it’s time for a talk. For long-time clients who are at lower rates, be completely honest. Tell them that you’ve been working hard, improving and growing the business and that while you appreciate their patronship, you’ve realized that with the demand in the marketplace, your services are worth more than you’re getting. Offer them options as to whether they’d like to increase that rate to be more equitable or whether they’d like to shop around and find someone willing to work for less. Do it politely but firmly—know that any discount you’re giving customers is really a subsidy to their business. If they’re much larger than you with greater revenue, you shouldn’t be doing that. Do what you can to leave on good terms, such as giving them plenty of notice or referring them to someone else, but move on when you must. How often does raising rates work in reality? In my experience, rarely. Clients become accustomed to their original rate and nobody likes paying more for the same. It is much easier for you to find newer, higher paying clients before dropping the old ones. Keep trading up until you’re getting a fair market rate for your work. Make your first project a smashing success to lock-in a great and lasting first impression. Always underpromise and over deliver. Real relationships take work. Make friends with your clients. Let clients go if you must. Think about ways to surprise and delight your customers. What can you offer outside of your services that they would really appreciate? Make a list. Go buy a box of ‘thank you’ cards and stamps right now and have them in your desk, ready to send out. It’s been a long journey, so let’s recap what we’ve covered. Sales strategy is a way that you can get paid a fair price for your work and find more clients. When you’re ready to start selling, analyze the market and come up with customer profiles and buyer personas. These heuristics will help you more quickly recognize potential clients and buyers when you come across them. With these in mind, build your company from the bottom-up, product first. If you don’t have a product or service that people want to buy, sales and marketing probably won’t do you any good. Be open to feedback, and always be improving your product. Your marketing strategy is about creating a market for your products. That means getting your website and online profiles looking clean, crisp, and official, and having your elevator pitch down pat. You may want to do a little SEO work, guest posting, and when you’re further along, advertising. When you’re ready to sell, start out by creating two Excel spreadsheets: One for your sales funnel and the other for your Excel CRM. These are vital for recording your activity and staying organized so that the sales process doesn’t dominate your time. To start selling, come up with a list of qualified companies and buyers and start reaching out. When you get hits, move them through your funnel, qualifying out those who are not good and closing deals with those who want to work with you. Sales is about matchmaking and you and your prospect should both be excited to work with each other. Once you have paying clients, you want to knock that first project out of the park and retain them as long as possible. Keep that up until you have a healthy book of business at the rates you’d hoped for. And, why stop there? With what you’ve learned here, you have what you need to turn your freelancing career into a full-fledged business. The possibilities are endless. That concludes The Big Book of Freelancer Sales Strategy. I hope it’s been useful. How did you find this book? Was everything clear, or are you left with unanswered questions? Share your thoughts at chris@findaway.media. Check out our blog, The Heart of Persuasion for tips on freelancing, writing, marketing, and persuasion. We know, we know, this book is huge. Here are your Cliffs notes. B2B/B2C: These stand for “business to business” and “business to consumer,” and explain whether a company sells to other companies or to consumers. 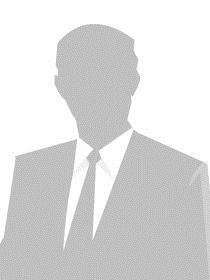 Buyer persona: A composite description of your ideal buyer. Compelling reason: A reason for which a customer is compelled to buy. Customer marketing: This is marketing that draws upon your existing customers and includes testimonials, logos, case studies, and more. Customer profile: A composite description of your ideal company customer. Chief X officer (CXO): This refers to any or all executives with “chief” in their title, such as a Chief Marketing, Sales, or Executive Officer. Design thinking: A human-centered approach to building products or services that customers love. Elevator pitch: A value proposition for your product or service that can easily be said in under 15 seconds. Warm lead / cold lead: Warm leads are those who you have been introduced to by a common acquaintance. Cold leads are those with whom you have no common connection. Word of mouth (WOM): The process of customers spreading the word about your products or services.